I've been spending a lot of my spare time daydreaming about handbags I cannot afford. I am due for a new handbag (it's been over two years since my last new bag), and I have a crossbody bag in black on my mind. Sure, I cannot afford any of these beauties, but a girl can dream. The 3.1 Phillip Lim Mini Pashli Messenger is my current favorite, but I would gladly sling anyone of these over my shoulder. 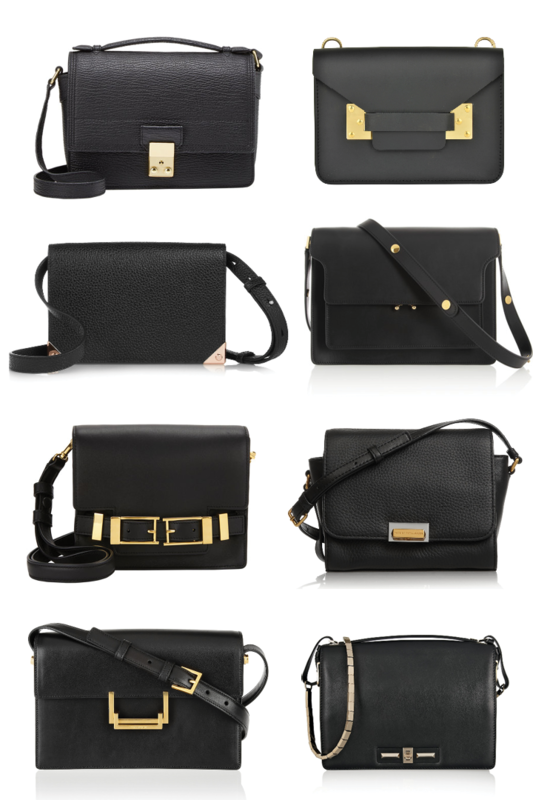 Crossbody bags are huge for fall and I am ready to give into the trend. What are you lusting over for fall?